Based between its namesake city and Istanbul, SU Paris marries together the effortless style of both. 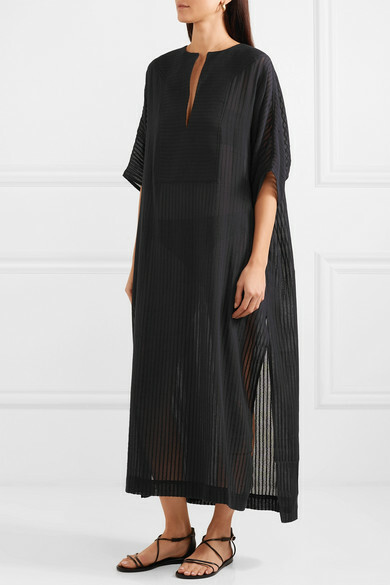 This kaftan is artisanally made from black cotton-gauze that has an open weave for ventilation and pronounced striped ribbing. 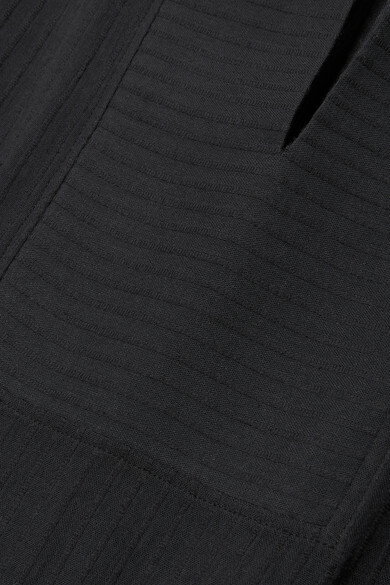 It's cut with a slit through the bib front and sides so it feels airy. Shown here with: Eres Bikini top, Eres Bikini briefs, Cesta Collective Bucket bag, Ancient Greek Sandals Sandals, Alighieri Necklace, Alighieri Earrings.